GEORGE TOWN: After recently acquiring 21.3 acres in Tanjung Bungah for RM185.6mil, SP Setia Bhd is now looking at an adjacent 14-acre site. SP Setia Property (North) divisional general manager Datuk S. Rajoo said the group was now in an advanced stage of negotiation to buy the property. “We expect to ink the deal soon. The two properties are an integral part of the group's business plan to launch about RM2.5bil worth of properties on the island this year and in 2013,” Rajoo said. “Land on the island is becoming scarce. Since SP Setia wants to continue playing a dominant role in the property market on the island, it is seizing every opportunity to expand its landbank, capitalising on attractive deals,” he said. SP Setia's business plans for Penang include the launch of residential and commercial properties worth over RM638mil in the second half of 2012. In 2013, besides the RM1.1bil project in Tanjung Bungah, SP Setia will also launch a RM175mil condominium project in Sungai Nibong, and the Wave and Breeze condominium projects for Setia Pearl Island, with a gross development value (GDV) of RM350mil and RM300mil respectively. “In the second half 2012, the key projects include the RM250mil Setia Triangle, the RM335mil Setia Greens 2, and a RM53mil condominium project in Teluk Kumbar,” he said. The Setia Triangle project on 6.8 acres in Setia Pearl Island comprises two-, three-, and four-storey shop offices with built-up areas of 3,000 sq ft, 4,500 sq ft, and 6,000 sq ft respectively. Each unit will be priced between RM1.95mil and RM3.6mil. “There will also be a residential component comprising a 225-unit condominium, priced between RM575,000 and RM1.2mil,” Rajoo said. The Wave consists of 535 condominium units priced from RM300,000 to RM750,000, while the Breeze comprises 450 units with a price tag of RM500,000 onwards. “The scheme in the Teluk Kumbar development comprises 98 condominium units with built-up areas of 1,000 sq ft and 1,4000 sq ft, priced between RM500,000 and RM700,000. “To date, we have launched over RM1.1bil worth of residential properties in Setia Pearl Island. Once the Setia Triangle, Wave, and Breeze are launched, the GDV for Setia Pearl Island will rise to RM2bil,” he said. Rajoo said SP Setia had also recently acquired two pieces of land in Balik Pulau for RM38mil, where the group planned to develop both landed and high-rise properties. He added that the group's projects in Penang should generate about 15% of the its revenue for the fiscal year ending Oct 31. 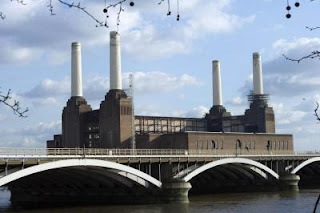 PETALING JAYA: SP Setia Bhd is said to be one of the bidders that have ended up in an informal shortlist for the Battersea Power Station site in London. According to a Bloomberg report quoting Britain's Sunday Times, the shortlist also includes London Riverside Development Corp, backed by billionaire brothers David and Simon Reuben, and Chelsea Football Club Ltd.
London Riverside, whose investors included Godfrey Bradman, one of the developers of Broadgate in London's City district, was said to have made the highest bid for the Battersea site of more than £330mil, the paper said, without citing anyone. Meanwhile, an industry source told StarBiz that besides SP Setia, a number of other Malaysian developers were among the international bidders for the redevelopment of the 15.8ha site. According to him, a good number of the bids “are quite strong” and a decision on the successful bidder is expected soon. The offer for sale of the freehold of the 15.8ha site was by private treaty via informal tender. The submission of bids was no later than 12 noon, London time, on May 6. Last year, SP Setia Bhd made two earlier bids of £262mil and £324mil for the site but failed. The company said it was keen to make a fresh bid for the latest sales tender exercise for the site. The Battersea site is located in a prominent central London riverside location and has valid outline planning permission for a major mixed use development totalling about 750,000 sq m in gross external area. The dilapidated coal-fired power station has been closed since 1983 after 50 years in service. The site has seen several failed redevelopment attempts in the past three decades. Irish developer Real Estate Opportunities was the last to try its luck with a £5.5bil redevelopment plan but the plan collapsed in December last year after the company went into administration.